This guide is based on a guide created by Natalie Rogers for Advanced Legal Research. She graduatied GSU College of Law in May 2011. 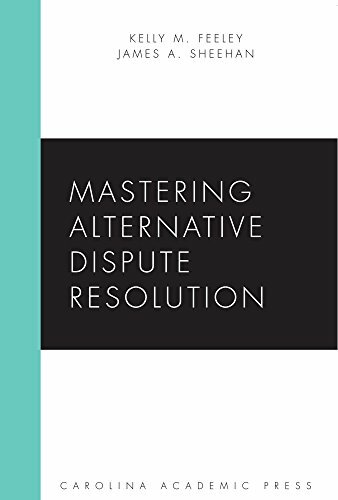 Mastering Alternative Dispute Resolution covers what readers need to know about negotiation, mediation, and arbitration without requiring them to tunnel through a morass of rules, regulations, statutes, and case law. Negotiation, mediation, and arbitration are skills which are usually taught by doing, but there are a number of fundamentals that need to be studied. This book introduces the reader to those fundamentals and uses examples to show how to put them to practical use. A Short & Happy Guide to Mediation is for lawyers who want better results from mediation, clients curious about an upcoming mediation, mediators who want to become more effective, and students who want to explore dispute resolution as a career. What disputes should be mediated? Who gets to be the mediator and how do you choose the right one? How can preparation for a mediation lead to a more successful result? What are some things about the practice of mediation these days that we can improve? 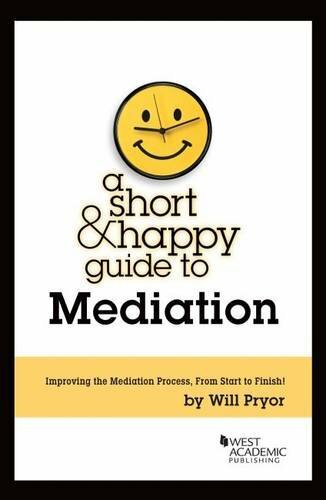 A Short & Happy Guide to Mediation addresses these and many other intriguing questions. Learn more about this series at ShortandHappyGuides.com.